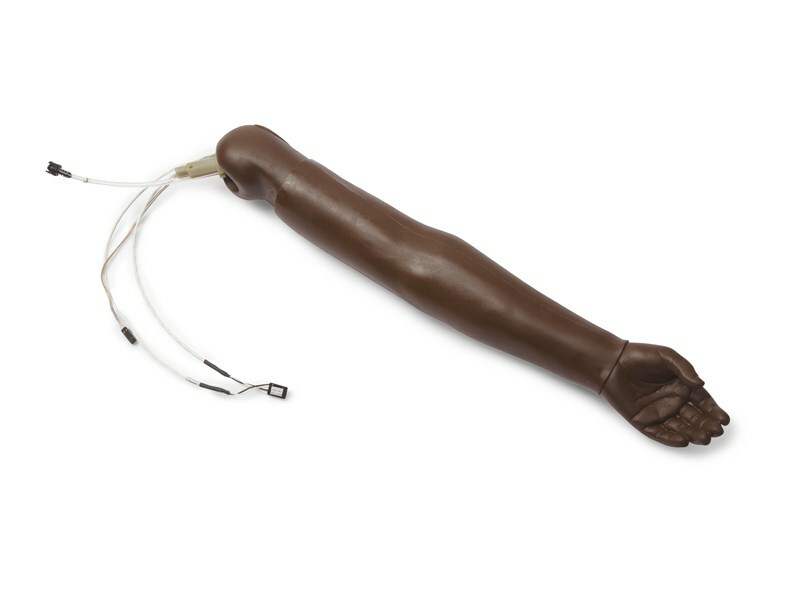 Pediatric blood pressure training arm (left) in brown skin tone to be used with the SimPad or VitalSim system. Arm will articultate to SimJunior. *Shoulder attachment hardware not included. SimPad System sold separately. *Replacement skin for this arm is available using catalog number 232-00450B.